Are you ready for one heckuva night in Santa's workshop? Make sure you have this Myself on an Elf Costume costume for some mischief and mayhem! 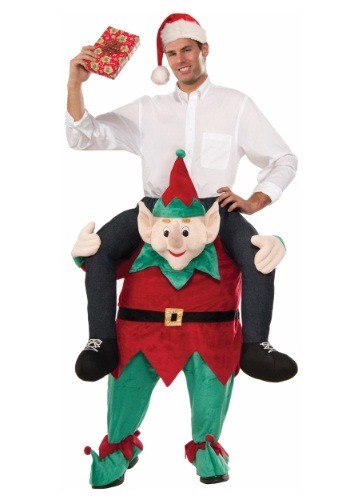 It will give you a hilarious look that makes it look like you are riding one of Santa's helpers, and it's sure to be a fun costume whether you're headed to the North Pole or just to your seasonal get together. If you're looking to ring in some good times on both Halloween and Christmas Eve, look no further!